Not impossible, but not likely. Part of this theory hinges on the fact that Doofensmirtz went on a date with Linda ONCE, Clearly in the 80s. The show appears to take place in the mid 2000s, so for Phineas to be the result of this date, phineas would have to be around 15 or older. (This does mean Candace could be his daughter though, but I don't think that's the case either). It doesn't seem the date went well anyhow. It is unlikely they had much more history together as when Major Monogram and Doffensmirtz are fighting the Flynn Fletcher robots, Doffensmirtz comments "I think I dated that one once, but I did not know she was a robot at the time." Thanks for telling me. I guess that makes sense. But, wasn't phineas 15 or 14 in the show. Because Candace was like 16. She was a year younger than Jeremy. And Jeremy went to college in one of the episodes! 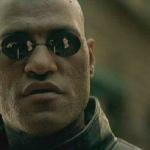 I get what you mean and I might rethink about it. 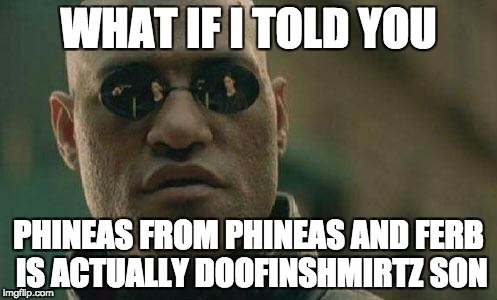 But phineas and doffensmirtz do share things which is kinda weird! Phineas is only supposed to be 10, maybe 11. I searched it up and they said like 13 years old.